OUR END OF YEAR SALE IS NOW OVER. 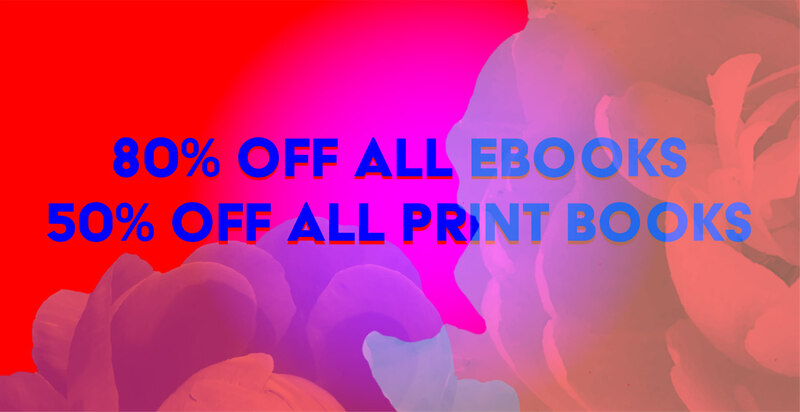 Until January 1 (2019), at 23.59 EST, we have 80% off ALL our ebooks and 50% off ALL our print books. We also have bundled ebooks with every print purchase (see below) — meaning you can gift the print book (if you want to!) and start reading the ebook straight away! See our Gift Guide for lots of great suggestions, as well as our End of Year Highlights, 10 books you do not want to miss!, Bestsellers under £8 (or Bestsellers under $10), Ebooks at £3 or below, Bestselling ebooks of the year, and our BIGGEST BOOKS. We also have a variety of Verso Bookshelves to help you find the right book: Philosophy, Political Theory, Feminism, History, Black Radical Thought, Economics, Art, and Architecture and Cities. Alternatively, see many of our reading lists here, including Emerging Futures, No Walls No Borders, Smash The Fash, A Guide to our Radical Thinkers, 10 Books Every Student Should Read, and our Bestselling Books by Women. *PLEASE NOTE: free bundled ebooks are only where an ebook edition is available from Verso. Some books (especially older texts) are not available in ebook format. 50% off print books applies where stock is still available (this may differ from region to region). Books may go out of stock during the sale. 80% off all ebooks applies where the book is available in ebook format. 50% off print books and 80% off ebooks will end at 23.59 on January 1 EDT (Eastern Daylight Time), 2019. Not all books are for sale in every region. Purchase of a print copy includes free bundled ebook (where available). There is further ebook information here. Read more about our purchasing, shipping, delivery, and returns processes here.